Oregon Rep. Earl Blumenauer’s 'alternative farm bill' aims to spend more tax dollars on farms that produce food, and less on those growing animal feed and fuel. Congressman Earl Blumenauer (D-OR) stands out in the drab halls of his Capitol Hill office building. When we meet, he’s wearing a neon green bicycle lapel pin, a nod to his longtime enthusiasm for biking and his membership in the Congressional Bike Caucus. His staffer sports a neon orange one. Blumenauer’s omnipresent bow tie and hip, clear-framed glasses are more signs that he is not your typical Beltway politician. Outside his office on Capitol Hill, a rainbow flag hangs beside the American flag. The representative from Portland also stands out for his interest in agriculture policy, uncommon for a politician from an urban district. 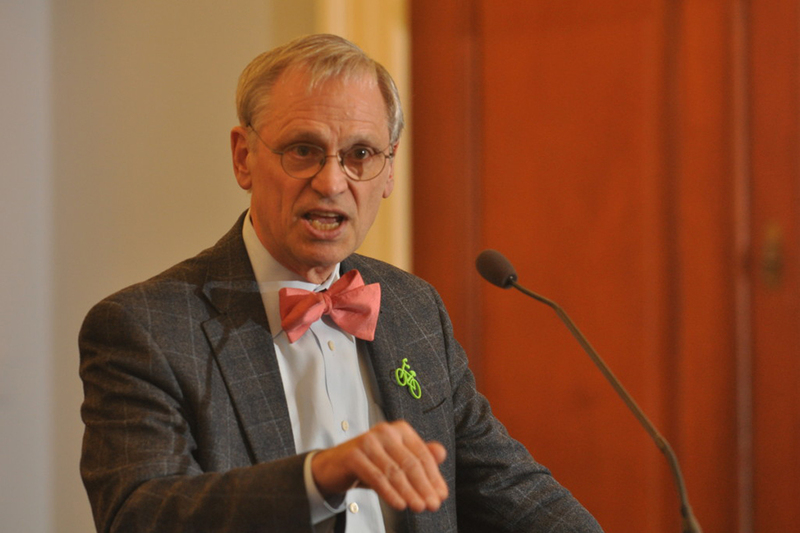 A longtime advocate for sustainable agriculture and an outspoken critic of the current administration’s environmental policies, Blumenauer has worked for years to move the needle on food and farm policy. In June of this year, along with Rep. John Conyers, Jr. (D-MI), he introduced legislation to protect pollinator bees and support diversity in the food supply. The legislation was supported by dozens of environmental groups. Now, Blumenauer is taking on the policy that most shapes our nation’s food and agriculture landscapes: the farm bill. The next version of the trillion-dollar omnibus bill is due for reauthorization in 2018, and discussion is already well underway. The farm bill funds nutrition programs such as the Supplemental Nutrition Assistance Program (SNAP) (around 79 percent of the bill); as well as all major agricultural programs such as crop subsidies and insurance (around 14 percent); conservation programs (around 6 percent); and research. The massive bill is also ripe for improvement, Blumenauer says. Today, he is introducing the Food and Farm Act, proposed legislation that would constitute a major departure from many of the bill’s core elements. If passed, the Act would implement many of the food-policy reforms that sustainable agriculture policy advocates have long supported. Blumenauer has been working on this legislation since 2015, when he began talking to his constituents and food-policy stakeholders in Oregon with an initiative called “Sing Your Own Farm Bill.” He solicited suggestions from thousands of people for how to improve upon the existing legislation. His findings from those conversations have been distilled into a report, Growing Opportunities, which lays out many of the ideas that are included in his new legislation. Some of Blumenauer’s major proposals involve reform to crop subsidies and reformed insurance programs. His legislation would expand conservation requirements for farmers receiving federal crop insurance; make it easier for farmers with diverse crops to receive insurance; and cap crop insurance premium subsidies to $50,000. 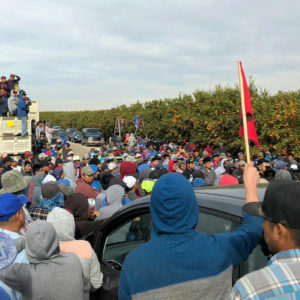 He also proposes capping annual subsidy benefits at $125,000 per farm in order to more equitably distribute federal funds. “Around 95 percent of the current subsidies are going to crops that are then turned into animal feed, fuel, or processed food,” says Kari Hamerschlag, deputy director of the food and technology program at Friends of the Earth, an advocacy group that worked with Blumenauer to shape the bill. “That’s not what America needs. 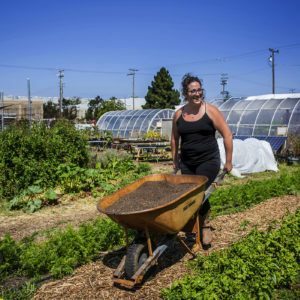 This bill would really shift a lot of resources and still provide support to farmers that are growing those crops.” Currently, she says, the top 1 percent of farmers by size and farm income receive 27 percent of the subsidies, averaging $1.7 million per farm. The focus on boosting sustainable meat is not a random example. Blumenauer’s bill includes two different programs that would support farmer and rancher practices to reduce the use of routine antibiotics. Within a large conservation program called the Environmental Quality Incentives Program, or EQIP, for instance, the bill would create a pool of funds specifically for pasture-based animal farms, so they would be on a level playing field with industrial-scale farms receiving federal support. It also proposes a program geared toward increasing support for infrastructure loans and technical support for processing high-value, sustainable meat, poultry, and dairy products to make it more viable for farms that want to sell in local and regional markets. And, says Hamerschlag, it also includes a section requiring “factory farms to have to report their greenhouse gas emissions” and reduces subsidies for the large animal-waste facilities that factory farms often require in order to be profitable. She adds, “there’s a lot of attention to animal welfare”—a piece of the discussion that has mainly been left out of past farm bills. Additionally, Blumenauer proposes expanding support for beginning farmers and ranchers. The 2014 Farm Bill allocated about $100 million to the Beginning Farmer and Rancher Development Program, but Blumenauer suggests adding more granularity to existing programs, including incentivizing farmers to participate in existing succession-planning programs, and funding new farmers to attend business-planning courses. One important element of Blumenauer’s approach is boldly re-framing the farm bill as a matter of environmental protection. “This is going to be the most important environmental bill that this Congress will consider,” he says. The last farm bill included a $6 billion cut to conservation efforts, which give farmers financial incentives to use more sustainable practices and retire environmentally sensitive land from production. Even so, the Food and Farm Act must be met with a great deal of campaigning if it’s going to impact the final bill. And because Blumenauer and his fellow reformers are working outside the committees, the bill will most likely be broken down into bite-sized parts and introduced as amendments to the more official bill. It’s an opportunity “to both educate and mobilize and show Congress and the ag committee that there are a lot of stakeholders out there that care a lot about our food and farming system want to see alternatives to the farm bill,” says Hamerschlag. It’s about time we support our local organic farmers. I hope this passes. And include ban on Monsanto. Reducing subsidies to large commodity crops like corn & soybeans could help reduce food waste. Is anyone exploring this angle? 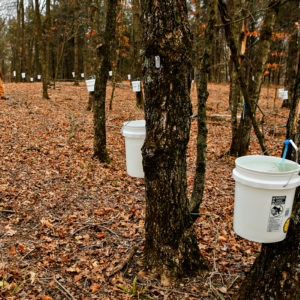 The US conservation reserve and similar environmental programs embedded in Farm Bills provide unique incentives for farmers to restore and conserve native biota in agricultural regions. Their success provides inspiration for those of us in parts of the world without similar programs. Fight to strengthen and continue them with all your might America. I'm IN! I'd love to know how to get involved in this effort. I'm in California and would be interested in spreading the word. Michael Pollan is a commanding force toward reform! How about eliminating all subsidies for crops grown for export. Then, add crops like Amaranth. Currently especially toxic roundup is destined for use on especially GMO'd crops to kill pigweed which has developed a tolerance for roundup's current recipe. Pigweed is palmer amaranth. Sells for $$ per 12oz box in the speciality section of your grocery. It is also heat and drought tolerant. And, highly nutritious and a complete protein. A traditional food amoung indigenous cultures including south if the border for thousands of years. The information about pigweed is so interesting. Pigweed could be a viable crop for many farmers and a valuable source of nutrition for us. Instead we have Monsanta destroying everything in their path in an effort to get rid of it. This reminds me of the work of USC Canada and other similar groups who are helping farmers all over the world to return to their native plants and their traditional ways of farming because they are so much more resilient and less dependent on chemical interference. Big corporations don't like that. More conservation and grass fed cattle! Our family woodland is under a CSP and EQUIP for wildlife. I am so happy to read about this bill. Hopefully it will be successfully passed but the fight will be difficult. There is so much money and, therefore, power on the side of keeping us and our planet unhealthy in the name of corporate profits. This is a ray of hope. Thank you for your continued work for our farms/farmers. They so often are forgotten. I appreciate your work Earl Blumenauer. I've been waiting a long time to have this kind of discussion in over hauling the farm bill ! Going back to simple soil biology so we can have healthy soil healthy food and healthy people! Your bill sounds good to me. I certainly do not like GOP bill. Thank you for apprizing me of the happenings. So how can we get your bill passed? It sounds like the thing we really need. I really appreciate Mr Blumenauer's approach to the Farm Bill. Animal welfare, sustainable agriculture, more help for the small farmer, encouragement to family farms as a valid alternative to big ag, food diversity, these are all important to the health of people and the planet. How can we get more attention to the reform of this important bill?